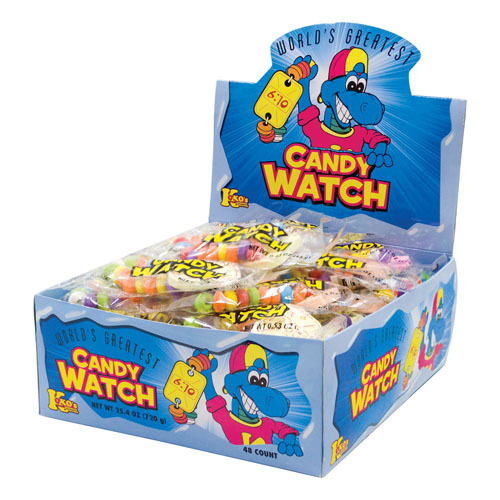 It's the World's Greatest Candy Watch! 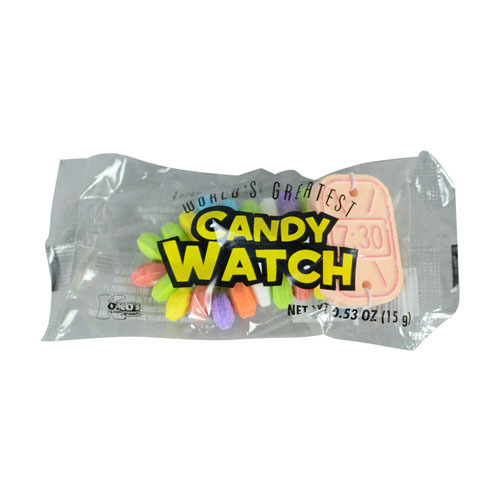 Candy Watches are multi-colored candies on a string bracelet. 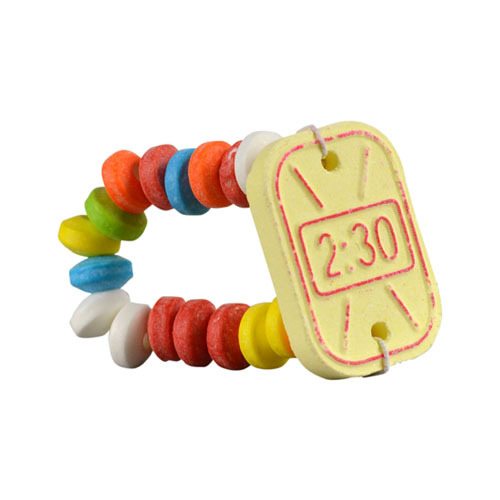 Each bracelet has an edible watch-charm with varying times.